Naturopathic Physicians are Primary Care Physicians (PCP’s). We are doctors who have been providing cradle to grave health care in the State of Oregon since the 1926 licensure laws were created. From childhood fevers, teenage acne, skin complaints of middle age, infections throughout life, to cancer, and bone loss in the elderly, naturopathic medicine has answers. The Portland Clinic of Holistic Health is a primary care medical clinic. We offer health care for the whole family as well as specializing in difficult cases. Routine blood work is available at the clinic such as blood count, thyroid tests, cholesterol screenings etc. Any imaging service such as ultrasound, x-ray, etc., may also be ordered for your case, and the image is obtained at the appropriate facility. We also provide specialty Naturopathic services that are hard to find elsewhere. We have extensive experience with Food Intolerance Testing, Digital Cardiography, hospital based computerized iridology examination, as well as complete Biothermal Physical Therapy treatments such as Constitutional Hydrotherapy. Our holistic approach incorporates the best from Conventional, Natural, Eastern, and Western health care. “One man’s food is another man’s poison”-Hippocrates 400 BC. A food intolerance is a food that the body does not break down, digest, or utilize due to digestive enzyme deficiencies. A simple blood test is used to determine these intolerances. When a food intolerance is eaten, that food or combination of foods will decay in the intestinal tract and create a number of toxic chemicals. These chemicals include cadaverine(cadaver), putrescine (putrid), histamine (the allergy chemical), and many others. These chemicals interfere with digestion and absorption of nutrients. Equally important -these toxic chemicals are absorbed into the bloodstream and cause irritation & inflammation throughout the body. Given their toxicity, these chemicals must be eliminated via the bowels, kidney, lungs, and skin. Many symptoms that people have are the byproduct of this process affecting the weak point of their body. This may result in arthritis in one person, but another person may experience asthma or migraines even though they have the same food intolerance. Avoiding your food intolerance is a powerful tool for healing and long-term health, since the body as a whole will be able to function more efficiently, relieving inflammation, and encouraging your natural healing capabilities to work their best. This is not a food allergy test. Food allergy tests measure the presence of an immune system reaction against foods. Unlike food allergies, most food intolerances are identifiable soon after birth, do not require current or prior exposure to the food, and do not seem to change over time. 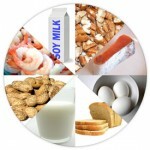 Food allergies typically reduce in severity or resolve when food intolerances are avoided. Each person typically has one category of foods that they are intolerant to, for example potato, milk, or eggs, etc. Typically each person has one combination of food that can be eaten separately but not combined together within a period of 4 to 8 hours. For example eggs with grains, potato with grains, fruit with cane sugars, etc. The initial evaluation also includes blood testing for mineral deficiencies. We test for 12 different mineral forms of calcium, potassium, sodium, magnesium, and silica. Each of the 12 different minerals are associated with different deficiency disease states. Replenishing the mineral helps to alleviate those symptoms. The only normal result for heavy metals is negative. If you test positive for metals, you should be treated and tested until the results come back negative and remain that way. At Portland Clinic of Holistic Health, we recommend a urine test for heavy metal screening. If heavy metals are found, we have several natural, safe, and effective methods for eliminating heavy metal contaminants from the body. We evaluate the amount of calcium getting to the muscles of the body. Calcium is an essential nutrient that is not only responsible for for healthy bones and teeth. The nervous system requires calcium to keep the nerves calm. The muscles of the body require calcium to maintain smooth muscular contractions. Calcium is used to regulate the acid/base balance of the body, and many other important biochemical processes. 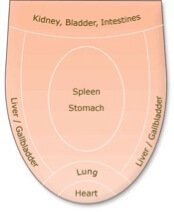 The adrenal glands are small glands that sit on top of each of the kidneys. They are about the size of an almond. They are important in regulating blood pressure, the level of blood sugars, inflammation, and are a key player in regulating the body’s response to stress. The adrenals secrete several hormones such as adrenaline, nor-epinephrine, cortisol, DHEA and others. Adrenaline makes blood flow to the muscles, heart, and brain, and away from the digestive track. This creates a strong forceful heartbeat, increases heart rate, and blood pressure. This also causes blood sugars to be released from the liver for energy. this stimulating effect of the adrenals is part of the response to stress, to run or fight in a situation. Prolonged stress causes the adrenal glands to continually secrete these stress hormones. Over time the continued forceful contractions and elevated blood pressure damage the heart muscle. The norepinephrine released under stress shuts down the digestive processes. You don’t need to digest when you are being attacked so the body shuts down digestion. Poorly digested food then ferment, producing gases. Long term continued stress can cause constipation, diarrhea, lower absorption of B vitamins, vitamin C, and proteins. The body under stress also secretes cortisol. Prolonged cortisol lowers immune system function, disrupts sleep rhythms, and contributes to the cycle of stress. Lastly, DHEA is used to create estrogen, progesterone, and testosterone. Long term stress can cause adrenal gland problems and result in disruption of female and male hormonal rhythms – leading to PMS, early menopause, fertility problems, male ‘andro-pause’, weight gain and many other problems. Physical examination can detect signs of overactive or impaired adrenal gland function. If necessary sensitive testing of the saliva and blood can be ordered to provide further detailed understanding of their function. Proper balanced adrenal gland function can be supported through diet, herbal extracts, and nutritional concentrates. The fingernails show detectable changes that relate to organ function and body health. For example ridges, white dots, the shape and texture, the presence or absence of white moons at the base. A nail takes about 6 to 8 months in adults to grow out and allows for observation of changes over times that reflect changes in body Health. The tongue also shows changes that are reflections of health and disease in the body. The color of the tongue, the coat, the amount of wetness, ridges along the edge- all can be indications of internal deviations of health and disease. The tongue changes more readily and coat and color can change in even a matter of days. this along with nails helps to differentiate acute and chronic conditions in the body. Examination of the iris of the eyes detecting changes that occur in disease. Iridology is the study of the colored portion of a persons eye (the iris) and how it relates to health and disease. 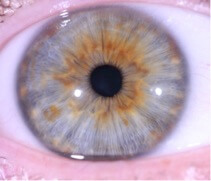 Iridology evaluates iris pigmentation, fiber structure, and the accumulation of metabolites in the iris. while the eyes have long been studied for changes in health and disease. Scientific Iridology has been in continual evolution as a modern clinical science for over 125 years. There is a growing body of international scientific literature that clearly demonstrates the possibilities and limitation of this method of evaluation. We may take iris photographs using a specially modified iris camera that are then analyzed by a hospital developed iris software scanning program (Bexel Irina). This cutting edge evaluation tool often identifies hidden contributors to a person’s deviation from health. Developed in Korea based on German and Russian research parameters this very sensitive tool can detect changes in the eye that are related to deviations from health and developing diseases in the body. Dr. Eric Blake's lecture on Naturopathic Irisdiagnosis (Iridology). This lecture was delivered to the International Congress of Naturopathic Medicine, in Barcelona, Spain in 2016. Blood pressure readings vary based on whether one is lying down or sitting upright. When you rise from a lying to a sitting position your blood pressure should rise 15 points. If it stays the same or lowers, this indicates poorly functioning adrenal glands. Screening of the Chapman Reflexes that identify irritation of different organs. Chapmans Points are small, discrete changes in the muscular tissues located under the skin the deep fascia. The Chapman Point is an outward physical representation of internal dysfunction or pathology of an organ. The points were first described by Dr. Frank Chapman in 1920, who described the findings as “small pearls of tapioca that are firm, partially fixed, and located under the skin.” The points are useful as a diagnostic aid for connecting internal pain to a specific pathology. Though found independently of Chinese Medicine, many of the Chapman Reflex points correspond to acupuncture points that have similar clinical significance. The balance between acids and bases is measured as the pH. 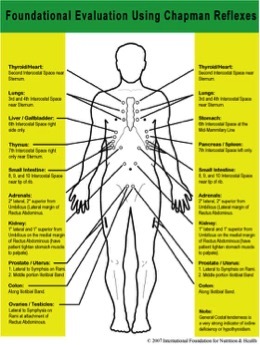 In order to function optimally some compartments of the body need to be slightly alkaline such as blood and saliva. Other areas need to be very acidic such as the stomach. The pH of the mouth should be between 7.0 and 7.3 so that digestive enzymes that break down sugar can be activated. If the mouth pH is outside of that range the enzymes don’t work well and carbohydrates and sugar can contribute to developing diabetes, heart disease, weight gain, and other problems. An important consideration in the correct diet is a general orientation according to blood type. Dr. James DAdamo pioneered this useful framework for understanding how different blood types respond to different diets. For example Blood Type a does better with primarily vegetarian orientation. Blood Type O does better with a high protein low carbohydrate approach. Blood Type B and AB do better with more omnivorous diet (B). Within in that general orientation certain food agree better with certain blood types. Of course this approach works best when fine tuned to each individual’s needs – especially the avoidance of each individual’s food intolerances.